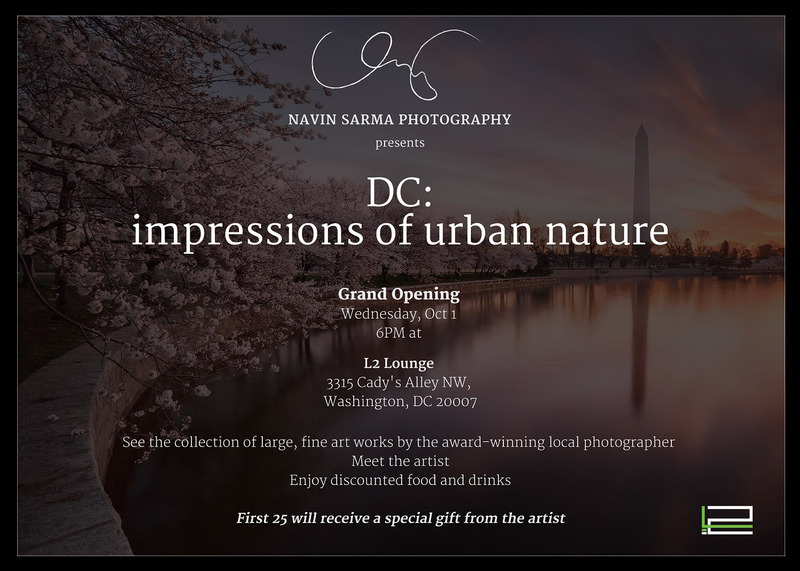 TONIGHT, Come celebrate my biggest milestone to date as a photographer, and see my work as it was meant to be seen — NOT as a small pic on the web with a watermark, but as large format acrylic mounted, fine art pieces. Even if you can’t come you can SUPPORT me by sharing this on facebook/twitter, or telling your family and friends to come visit. Big ups to L2 LOUNGE and world renown DJ Bikram Biks Keith who will be spinning for me tonight. Time to hashtag this jonx. Show your support by posting with ‪#‎navinsarmadc‬. See you tonight! !